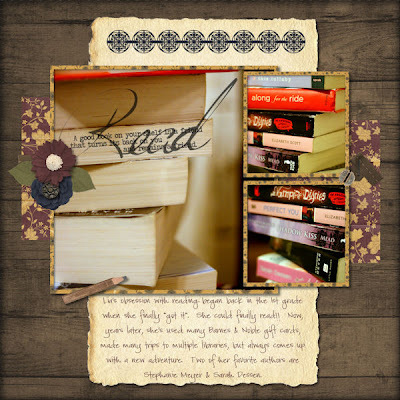 Amy from the duo of AmyDane Designs has a huge passion for books, which is what prompted her to design their newest kit A Good Read. 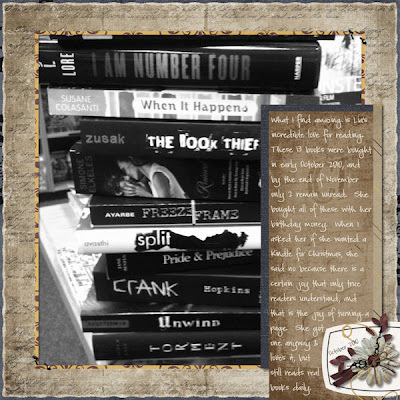 A Good Read was created with the adult reader in mind. The gorgeous colors and old time elements allow you to create layouts with a timeless feel. It is a huge kit with both masculine and feminine elements and papers. Complete with a Scrabble type alphabet, A Good Read can fit just about any style, from elegant to heirloom. It comes with 1 alphabet, 24 papers, 6 cardstocks, and 82 elements including word art. For the month of October they are releasing A Good Read ONLY at the brand new Scraps n Pieces Store!! 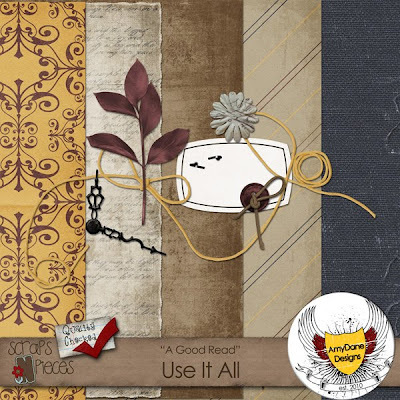 And because AmyDane Designs is hosting the Use It All Challenge this month, they have this brand new kit on sale for only $3.00 for the entire month of October!! GO HERE to purchase A Good Read in the Scraps n Pieces Store!! 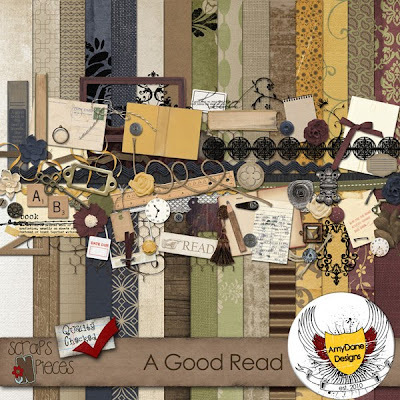 Here is a look at the full size kit and scroll down to see the amazing Add On Freebie you can get at the Scraps n Pieces Store this month!!! Here are the 2 pages I created. This first one is for the Challenge of the Week challenge at Stuff to Scrap. We were supposed to take an older layout and redo it. Loved how mine turned out. And this one I created for the Use It All Challenge at Scraps N' Pieces.